Why settle for boring flash cards when you can make math fun with this hands-on apple math printables pack! There are dozens of ways to use this fun math pack in a hands-on way that even kids who hate math will love. 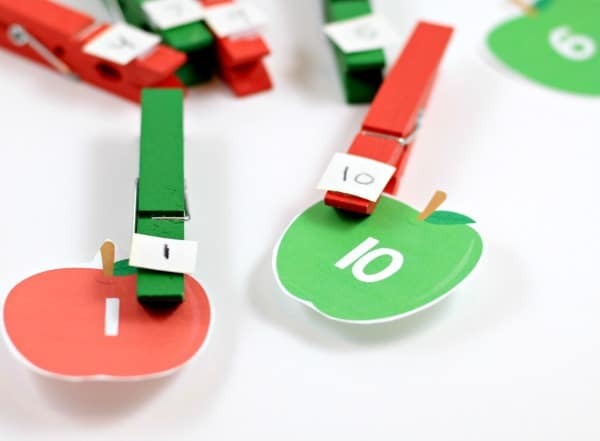 Why settle for boring flash cards when you can make math fun with this hands-on apple math pack! The pack includes everything you need to teach kids in grades K-3 their basic math facts. Use the apple cards alone or in conjunction with manupulatives for even more fun. There are truly endless ways to use this pack. Perfect for math centers, homeschoolers, Kindergarten teachers, and primary grade teachers. 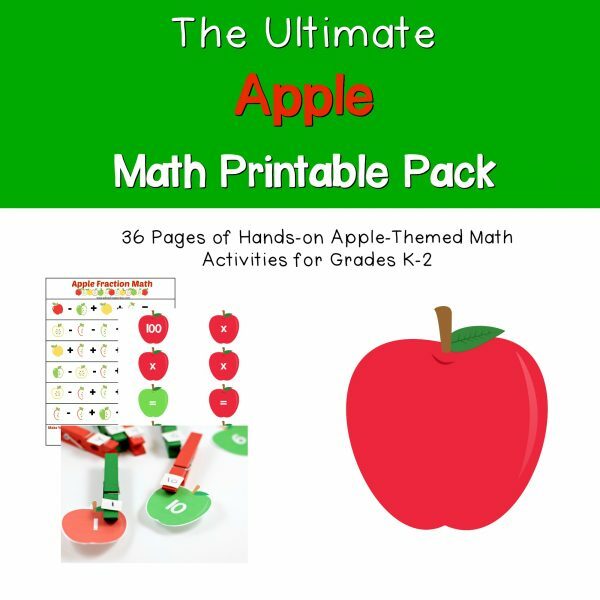 36 fully customizable pages of apple math! You will be directed to the download page. Click “Download: Apple Math Printables Pack” to save your printable. You will also be sent an e-mail link to download your printable. Each e-mail link is good for five downloads before it expires. Print the Apple Math Printables pack onto cardstock paper. For greater durability, laminate the sheet. Cut apart the puzzle and design your own math problems, skip counting, and basic math facts for kids aged K-3rd grade. See an example of how to use this apple math pack for Kindergarten.